In the discussion on GMO, their seems to be two opposing sides in the debate. Do you embrace the practice of GMO or does it send a chill down your spine? Do you believe that the future of mankind hinges on the use of or ban of GMO in our food chain? Their has been a lot of debate about using a genetically modified organism in our food. Research has shown little to no harm; the FDA, USDA and EPA give it their approval. So why is it even a discussion at all? Is this just another attempt being made to slow down our farmers from feeding the world? Can this be compared to when people didn’t believe in global warming before they were provided with proper information? I would like to ask my readers a few questions so that I can make a consensus on the general thoughts towards GMO. What is the problem with labeling our seed and food products so we can make informed choices of what we are putting into our bodies? 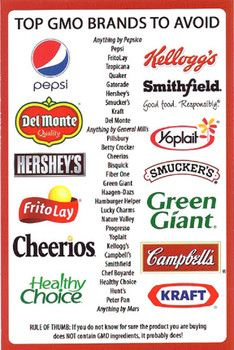 If we did not support GMO, then the food industry would have to consider other alternatives, maybe even move towards becoming natural again. Our watermelons would have seeds, tomatoes would ripen naturally, etc. While there may be different opinions on what is good and bad in regards to GMO, there is simply not enough research yet to explain the full effects of GMO on our crops and overall health. I would be interested to get your opinion of whether you think GMO is harmful or not. Feel free to do a little research or check out my infographic below. Please take the following quiz and let me know what YOU think of GMO. If you would like to really open up about this topic, I would encourage you to go to my blog site at urbanfarmlifestyle.com and post your opinion. Thank you for taking the time to take the survey. In conclusion, it will probably take decades of research to begin to understand the full effects of GMO. We are the guinea pigs. It will take close observation to determine what changes if any in the human body, good or bad, can or will be contributed to GMO in our food source. I would encourage you to continue to watch the news and research regarding GMO and its effects on our health and food sources. 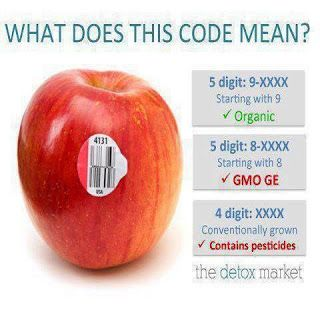 Buy informed, read the labels. If you don’t like what you are reading then tell the store manager why you are not buying the product. Vote with your dollars, you will be heard all the way to the top. Wikipedia. Wikimedia Foundation, n.d. Web. 15 Dec. 2015.